Not many people can say they still have something in their wardrobe they sewed 30 years ago and still wear. I realised that I do! If you remember that era, you’ll recall that chambray was BIG NEWS, and printed chambray even more so. 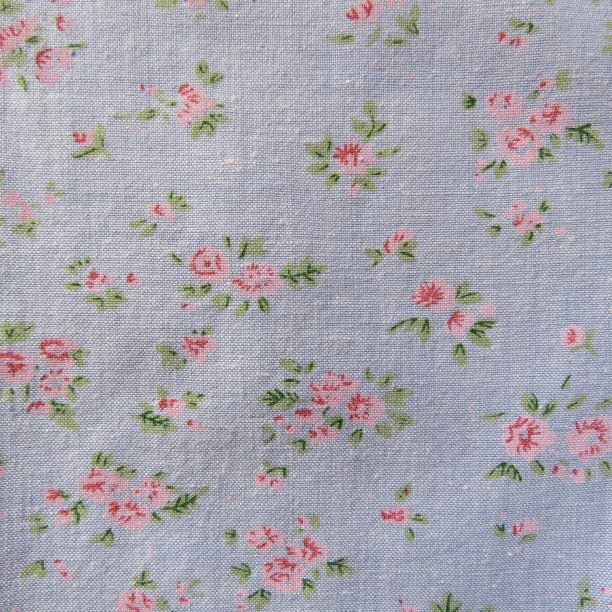 I bought this pretty printed chambray at Bargain Box Fabrics where I had a part-time job (I believe it was $5.99/m, but don’t quote me). I certainly can’t claim that, at 46, I’m still the same size and shape as Me aged 16. The dress still fits because the back elastic perished some years ago and I replaced it (to fit the older Me). Since the dress is backless, the fit is flexible and it still fits. Does that count or is it cheating? While I enjoy this dress, the knot at the back keeps me from wearing it too often; it’s really uncomfortable against the back of a chair. For driving, I’ve been known to undo the knot. It also looks a bit strange worn under a cardigan or jumper – the knot makes the back stick out. The dress is an interesting cut. 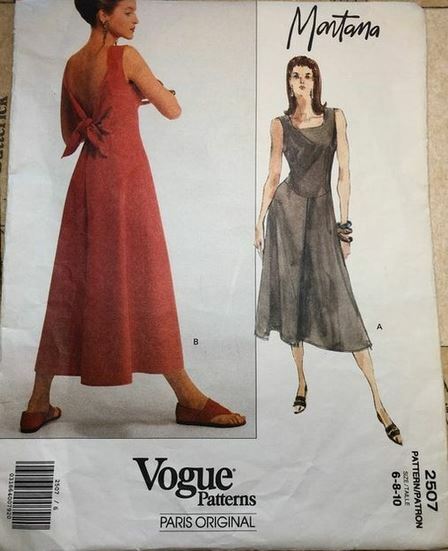 It has rectangular princess lines at the front which were always too high (I didn’t know much about fitting then) but seem to have gotten higher as the years went by…. It has a side zip which was sewn quite well for my age. 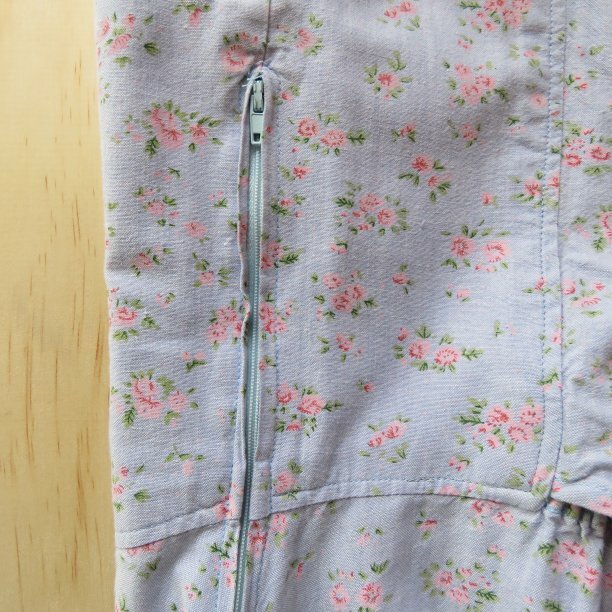 I would do an invisible zip these days, but invisible zips weren’t as common then. The centre front features a deep pleat with a central seam hidden underneath. This appealed to me, and later I used the idea on flared skirts. 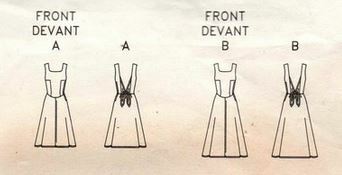 Have you sewn a Claude Montana? Been a wearer of chambray? 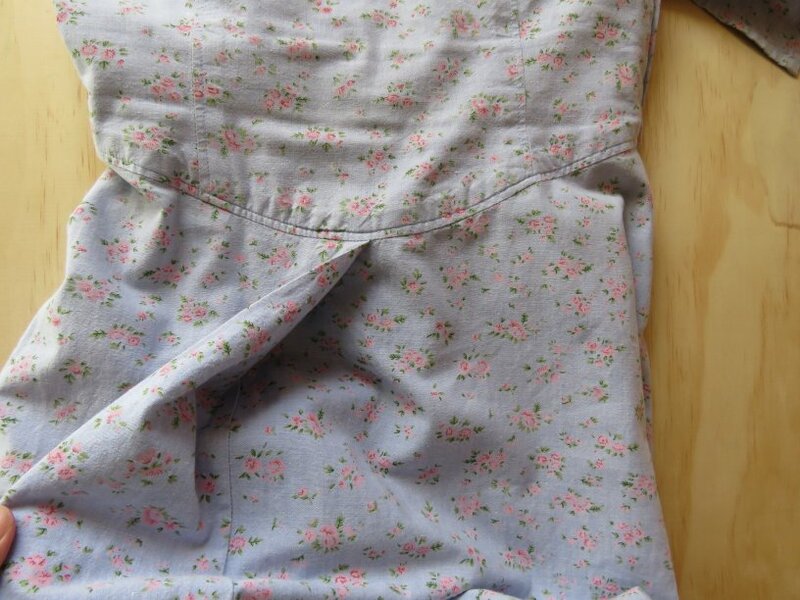 Have fond memories of something you sewed as a teen? 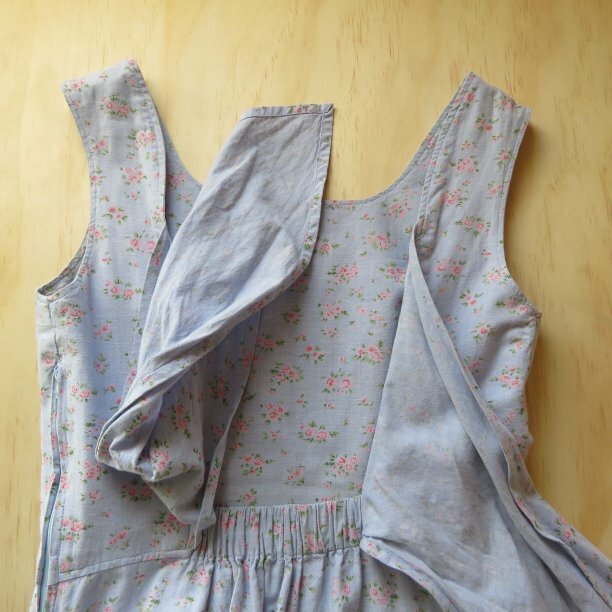 I often sewed chambray. Usually in shades of blue & I mainly work with cotton. I also sewed when I was 16 years old, and still sew now 40+ years later. Nice work & I love the dress! Amazing that you still fit in something you wore at age 16! I think I might be able to slip my arm into a pant leg I wore at age 16, haha! 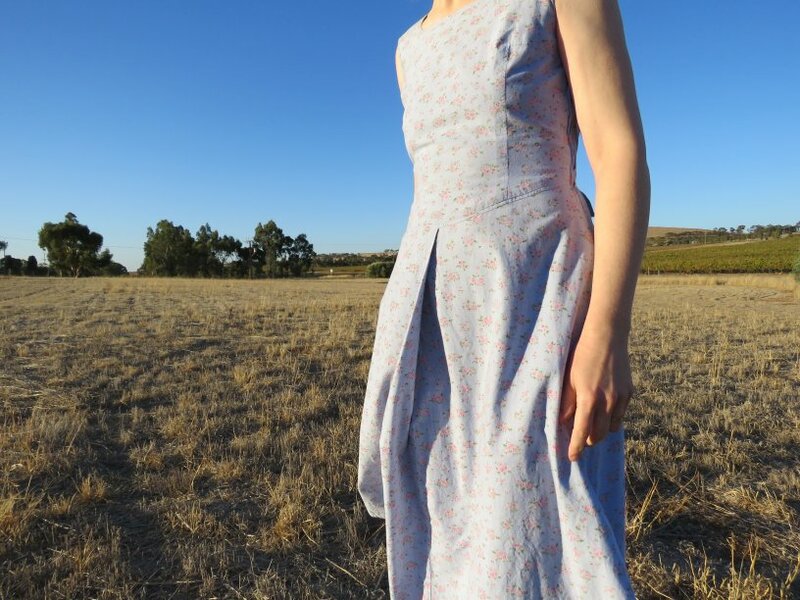 I love the lines of the sundress, especially the rectangular princess seams. 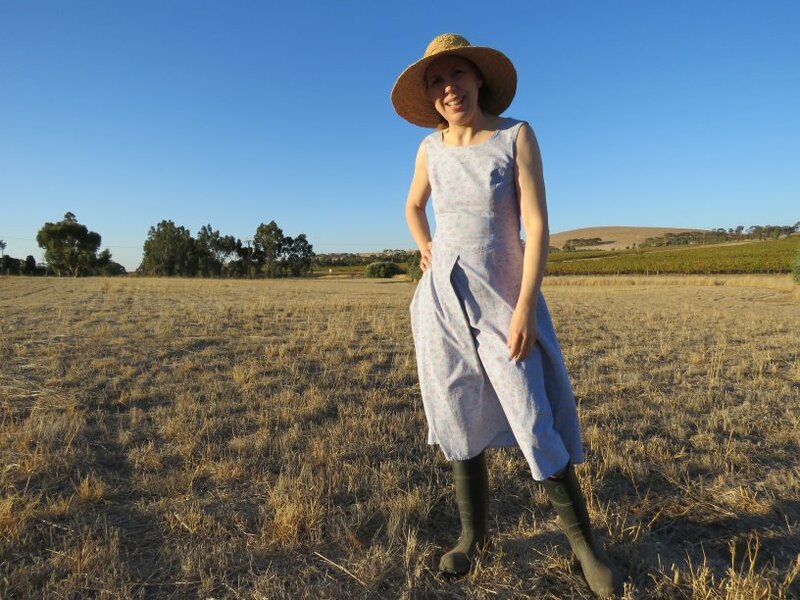 I remember a prairie style sundress I wore a lot at age 16. Never wore much printed chambray, but I wore a lot of chambray men’s shirts as work shirts in the garden. 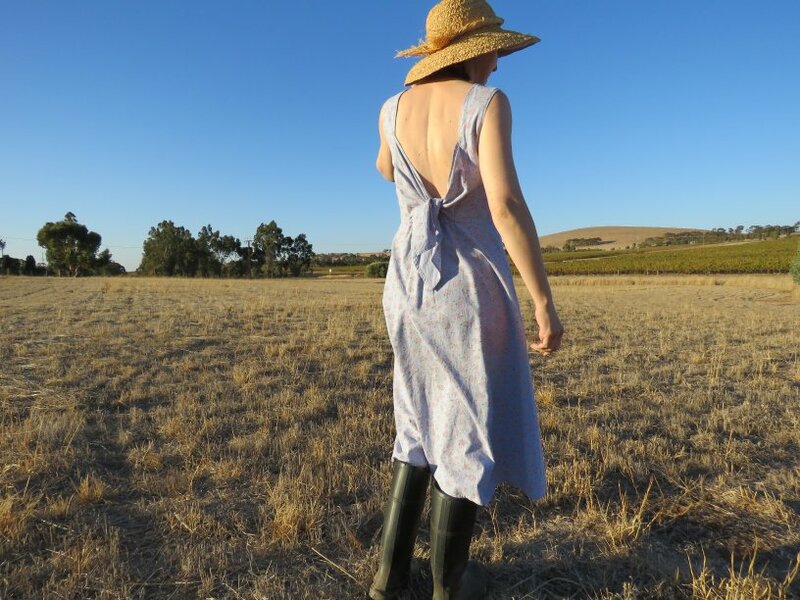 I have been playing around with wrap dresses and using button closures instead of ties. I wonder if that would work on your dress tie/knot? Cheers, Michelle. Hmm, button closures instead of ties….thanks for the thought. Still a nice little number Liz and wonderfully made – clearly setting the stage for things to come. You asked about fond teen memories. I fell in love with a pair of shoes that were distinctly 1940s… high heeled black brogue lace ups (I’d still wear them now if I possessed them) and of course fashioned the dress to suit – cummerbund with black lace insert, gathered bodice, black lace collar…. and to top it off, the short black lace gloves. Whoa what a number… oddly enough I don’t recall where I wore it, but it was the mid 70s! Regardless I loved it and I think I loved making it even more. That all sounds a bit gorgeous Julie. The shoes sound wonderful. I’m 26, so I don’t have anything I’ve sewn that’s over thirty years old. . . Haha! But I do have a pink satin princess seam dress that I sewed as a 12 year old, which I wore last year. It was a bit too big for me when I made it, so I had to take up the shoulders. Thankfully I left the big seam allowance, which I was able to take out, and the armholes are now the perfect size. The bust is a bit tight, (because, well, there wasn’t much there at 12). For this reason, it’s relegated to the costume closet. Yet I’m impressed that I can still wear it fourteen years later. Wow! 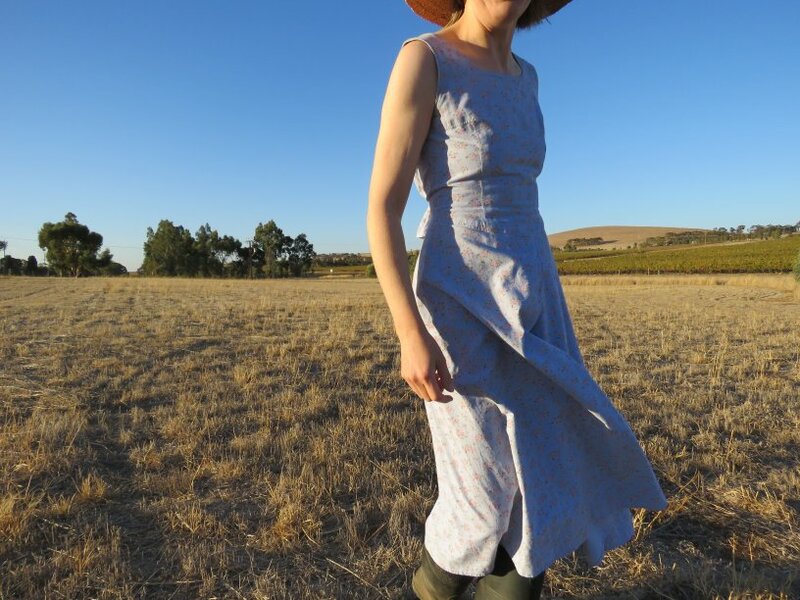 I don’t know which is more impressive: that you sewed a wearable dress at aged 12, you still have it and that you can still wear it. I think I was still somewhere between sewing for barbie and sewing for me at 12.